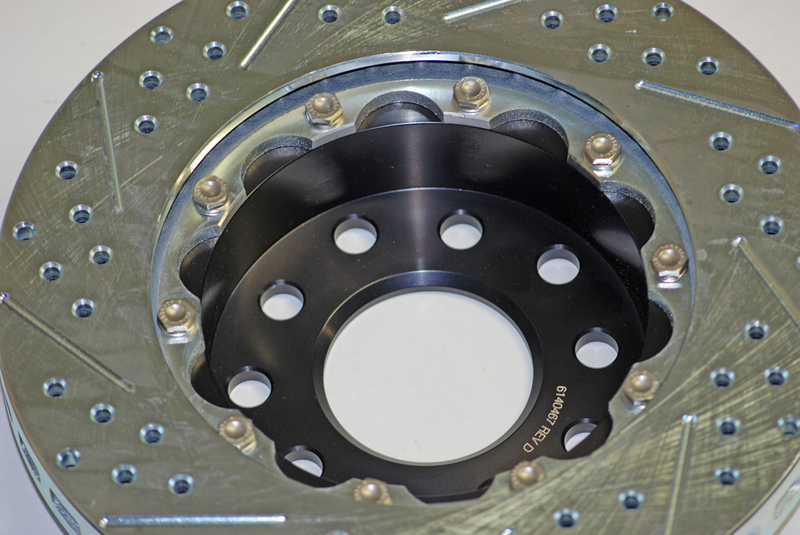 Last issue, we discussed the need for substantial brakes for substantial cars. 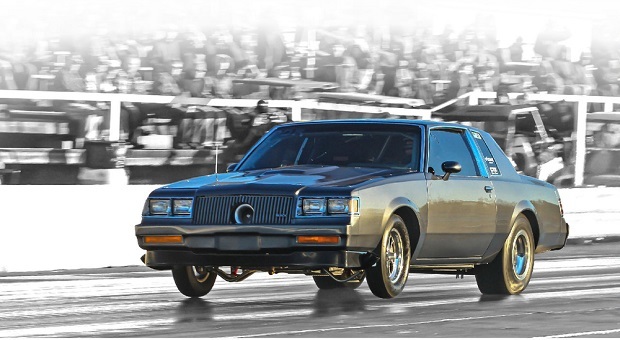 We pointed out the rise in popularity of racing fast street cars – those with a full compliment of street-legal pieces and consequently, enough beef to bruise the scales at your racetrack. Equally important, many of these honking cars are fully capable of blitzing the quarter-mile with sub-eight second passes. Not only are they heavy, they’re Fast with a capital “F”. And the reality is, Baer Brakes is the only game in town when it comes to brake hardware designed for this specialized application, and that’s a good thing because the Deep Stage Brake setup is a great choice. 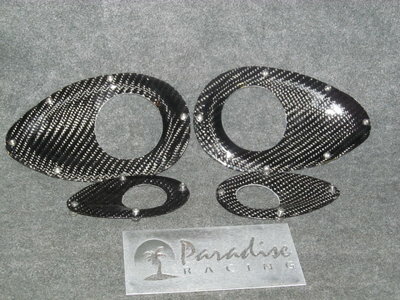 The rotor hats are machined from 6061-T billet aluminum and then anodized black. Baer points out they never screw hardware directly into the aluminum hats. Instead, they make use of ten NAS (National Aerospace Standard) stainless steel bolts and mechanical lock nuts to affix the rotor to the hat. Baer notes that in theory, NAS hardware is reusable multiple times, bit if you’re replacing rotors, it’s best to be on the safe side and replace the nuts every second time a rotor is changed (which, in our experience, won’t be often). Keep in mind that rotor replacement isn’t something you’ll have to do on a regular basis, but it’s nice to know it’s possible and easy to accomplish. 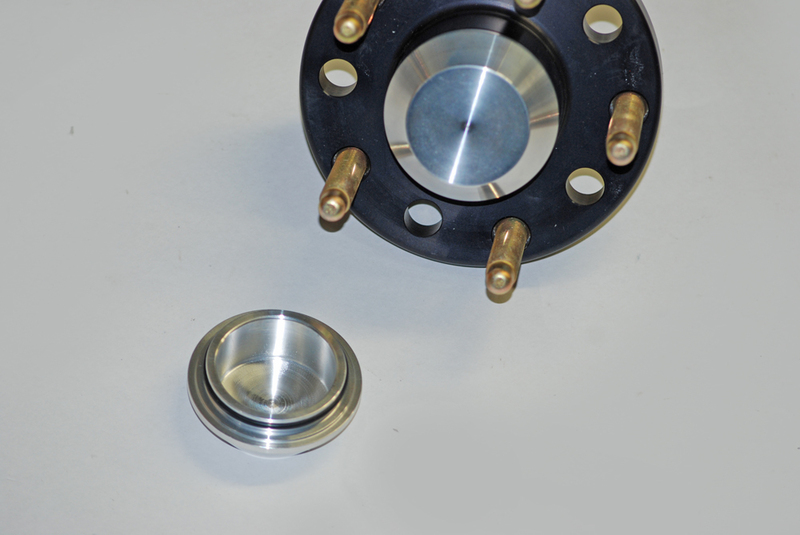 When it comes to the hats, a step is machined into the rotor, which allows the hat to recess flat. This in turn lowers the weight of the iron rotor/aluminum hat configuration, without compromising strength. Typically, a fully assembled rotor and hat combination will weigh no more than 12.4 pounds (that’s actually the heaviest combination with the deepest hat). 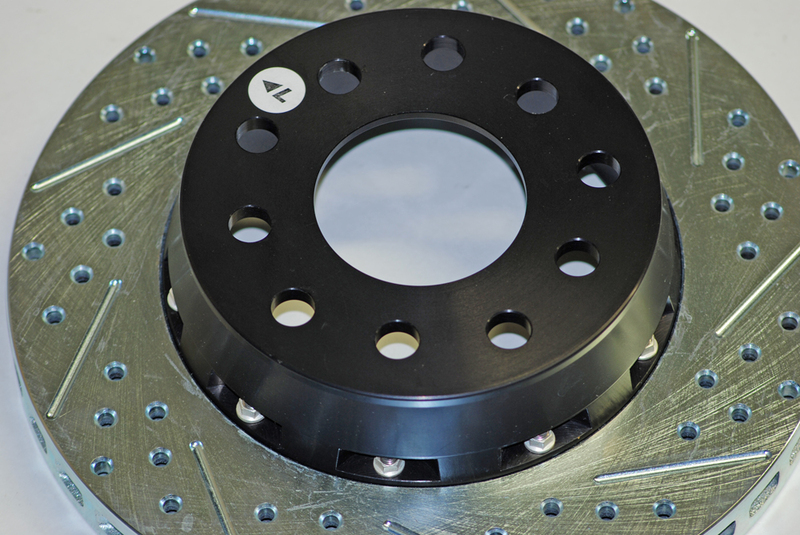 The hub is CNC-machined from 6061-T6-billet aluminum and then hard-anodized black. The hubs come pre-fit and pre-assembled with American-sourced races, bearings, and seals (typically Timken or SKF hardware). 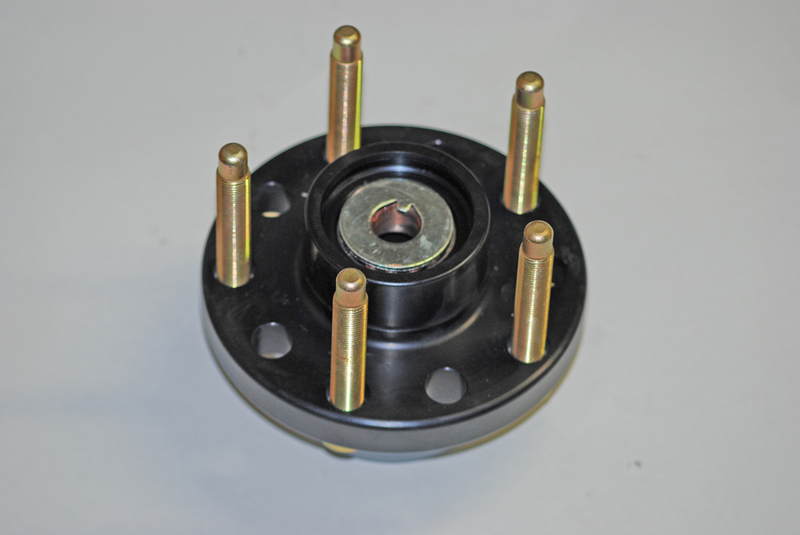 If you look closely at the hub, you’ll see the cap is an O-ring sealed billet job that simply snaps into place. 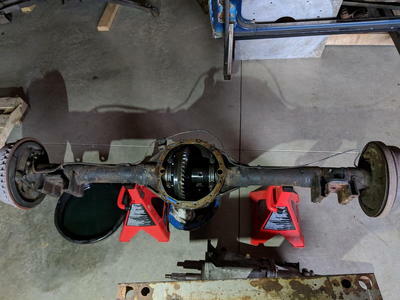 The hubs come double drilled with a 5 on 4.5-inch (Ford & Mopar) pattern as well as a 5 on 4.75-inch (GM) bolt pattern. The wheel studs are press-in jobs, and in our case, they’re high end ARP ½-20-inch drag race models with a quick start nose. Remember those pre-installed bearings we talked about? The folks from Baer pre-pack the bearings with synthetic grease. You do not have to add any more grease to the bearings! However, during the install, it’s a good idea to add a small amount of grease to the hub seal surface prior to installation. Here we simply use a tiny amount of synthetic grease for the job. Another consideration is the actual caliper mount. Mounts have to be robust, because if the caliper is cocked or flexes, stopping power is eliminated or at the very best, reduced. 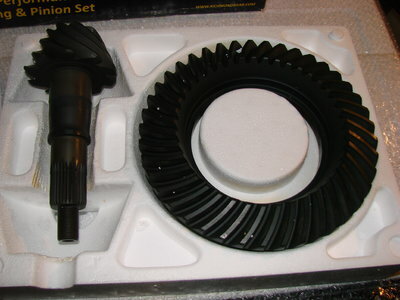 Using the Baer Brake’s front mount setup for a first gen Camaro/’68-74 Nova as the example, the base bracket is machined from billet aluminum and black anodized. It’s a beefy piece, measuring 0.550-inch in thickness and is held in place by way of two ½-20-inch Grade 8 bolts. FYI, in this application, the bracket mounts using the same holes in the spindle as the steering arm (but on the wheel side). Where some brake caliper mounts for this particular application require machining to install, the Baer setup is a basic bolt on (instructions are clear and virtually all of the hardware is included). The caliper is designed to mount to the rear of the spindle. Added to the base bracket is what Baer terms an “intermediate” bracket. This too is a heavy-duty black anodized, billet aluminum component. It’s a honking 0.650-inch thick and it’s held in place by way of a pair of 1.5-inch long, 9/16-inch Grade 8 bolts. Essentially, this piece mounts the caliper to the base bracket. 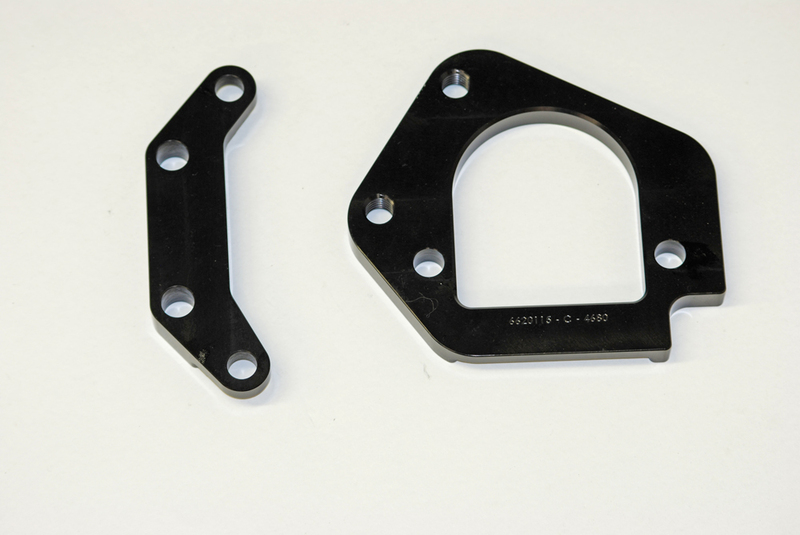 The reason for using a two-piece caliper bracket is to allow for caliper shimming. Why the need to shim the caliper? The reason for shimming the caliper (mount) is to insure the caliper sits centered atop the rotor. 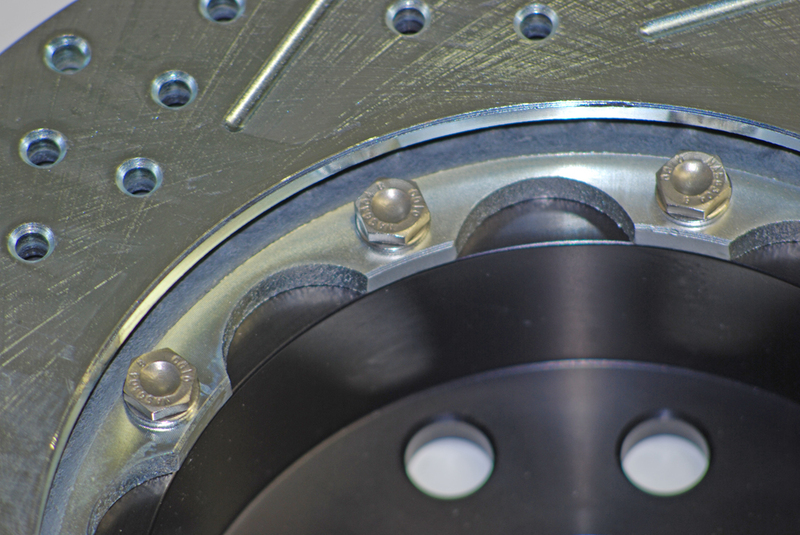 The shimming practice (which is spelled out in Baer’s instruction sheets) compensates for variances in the factory spindle due to vehicle production line machining tolerances. As you can see, the entire rotor-hub-caliper mount arrangement is a well thought out high strength setup. It’s great looking too (see the photos) and filled with top of the line hardware. Next issue, we’ll devote our space to the calipers. They’re special too, and as you’ll see, they’re configured to address the needs of a fast streetcar. Here’s a look at the front side and back side of the Baer Brakes Deep Stage rotor and hat assembly. As you can see, it’s a two-piece affair – designed so that the rotor can be serviced (and replaced as necessary) separate from the hat. The hat and rotor are affixed by way of 10 NAS fasteners and mechanical lock nuts. With the Baer setup, no fasteners thread into the aluminum hat. Hubs are machined from billet aluminum and after anodizing, they’re fit with top of the line (USA-sourced) bearings and races. There’s no need to pack bearings or add grease. The setup is good to go as supplied. 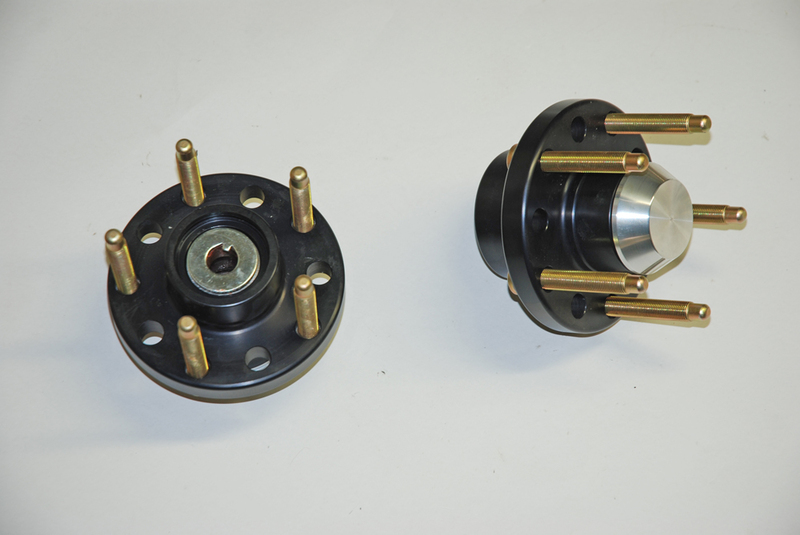 Baer’s hubs are double drilled for Ford or GM pattern wheels. This is complete with press-in ARP wheel studs. Even the cap is a neat setup: It’s a billet aluminum snap-in design complete with an O-ring seal. The caliper is mounted by way of two brackets – a large base bracket followed up by an intermediate bracket. Baer does this for one reason: It allows you to shim the caliper. This places the caliper square to the rotor. More info in the text.